There are multiply reasons why you should build a website not only for yourself personally but for your business as well. A website will help potential clients or customers find you easily and quickly. In this blog post, I will share SIX reasons why you should get started on building your very own website. If you're not a small business owner that's okay. 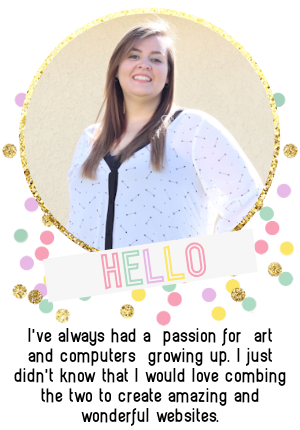 These six reasons will also help you take the next step to expand your potential as a blogger, author, artiest, etc. A website can be very easy to maintain ​and build with do-it-yourself website builders and premade themes or templates that graphic designers have created and sell online. 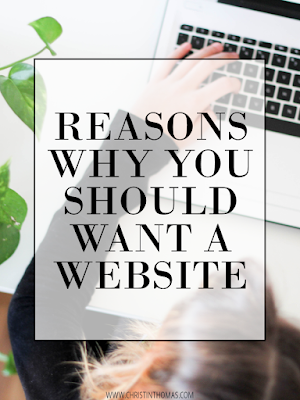 Let's get started on the SIX reasons why you should start building a website today! These days, more people around the world will use the internet or social media to search for products, services, DIY projects, etc. If you are a small business owner or an inspiring individual, you will gain credibility by having a website. If you don't have a website, you might lose out on any potential customers, readers, or clients. Your website will provide an alternative place to sell your products or services. Having an eCommerce website is a great place to sell your items to a wider target market than a local shop would. Not only will local customers have access to your business but almost everyone around the world would be able to purchase from you. More customers means more opportunity. Having a website available to your customers and potential customers will provide 24/7 access to your business. They will be able to view your products and services when your business is closed. Your customers will be able to make a quick decision to purchase from your website because they have already done the research for what they are wanting and looking for. I'm sure you have some customers that will ask the same questions over and over again. By having a website, you will be able to keep your customers informed on frequently asked questions, your business polices, and any sales or events you are having for your business. You can also collect email addresses at your own website to start up a newsletter to send out to your customers. No matter what type of business you have, a website would be a great place for you to showcase your products or services. By having an online store or a portfolio page, you are allowing your potential customers see what you can do and what you have to offer. You can also create a testimonial or review page at your website for others to read. Everyone loves to read reviews on a product or service to help determine their decision before purchasing. It does take time to provide information to your customers about your products or services. When your website is published, you can easily direct them to your website to get the information they need. By having an online store for your business, you can provide information to your customers about products they are wanting to purchase.